Barcelona Photoblog: Graffiti at Carrer Cornet i Mas in Sarria, Barcelona. 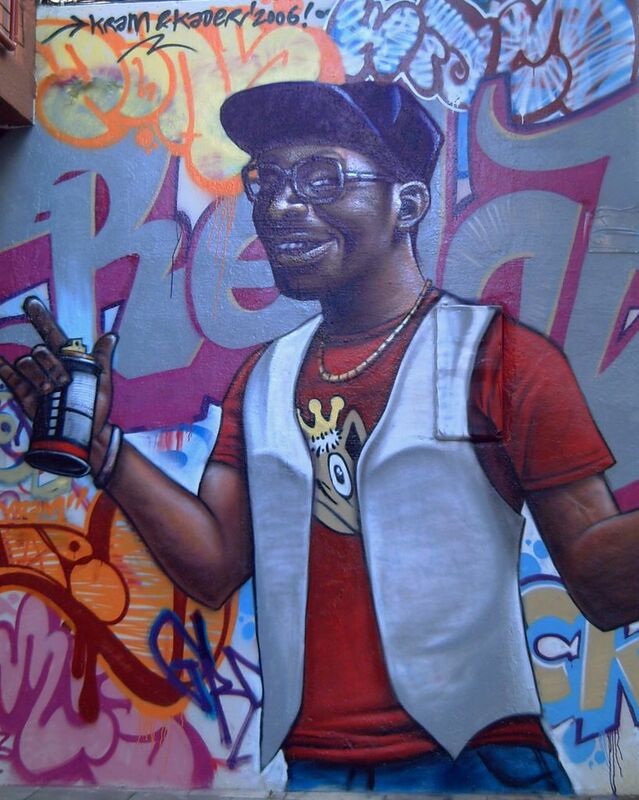 Graffiti at Carrer Cornet i Mas in Sarria, Barcelona. Always take you camera with you. You never know when or where you are going to spot a good subject for your pictures. Yesterday I went to Sarria to have lunch with some friends. I didn´t expect to find anything interesting enough although there are really nice places to photograph on the upper part of town. 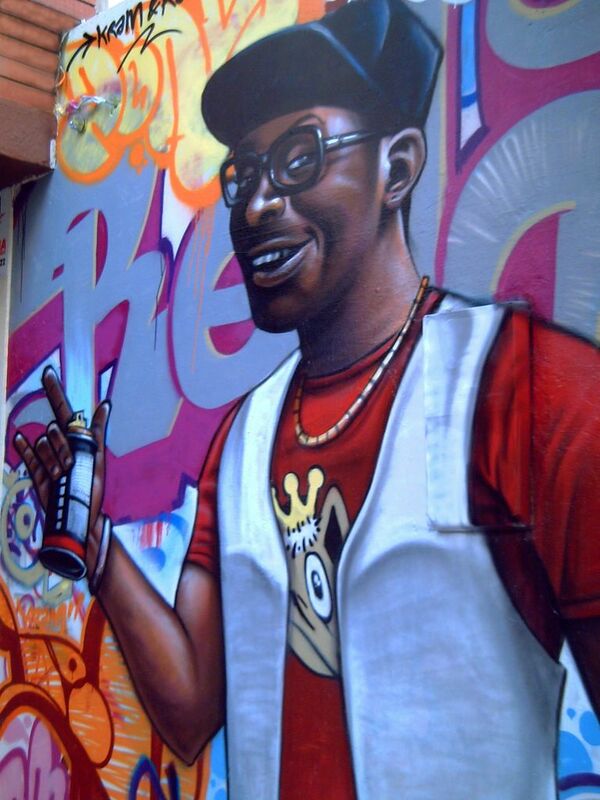 On our way back home I came across this wonderful graffiti at carrer Cornet i Mas in Sarria district. Yes, sir, it was a perfect day, I had a delicious paella and some good shots for my collection. If you prefer a better framing, which I discarded because there was too much brightness on the face, check front view. 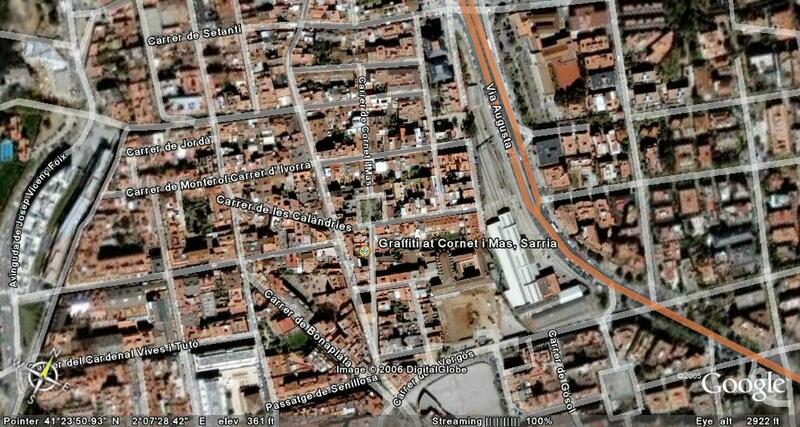 See Picture of Graffiti at Carrer Cornet i Mas in Sarria, Barcelona on a Google Earth Map. A toast to you and your blog. It's so true, what you say about always having your camera handy. Oh thanks Kris for such great cumpliment. Wow, that's a great graffiti! !